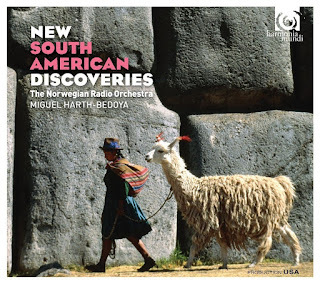 This enterprising disc, from Miguel Harth-Bedoya and the Norwegian Radio Orchestra on Harmonia Mundi, is a survey of 21st century pieces by South American composers. Entitled New South American Discoveries it features music by Jorge Villavicencio Grossmann (Peru), Victor Agudelo (Colombia), Sebastian Vergara (Chile), Diego Luzuriaga (Ecuador), Diego Vega (Colombia), Sebastian Errazuriz (Chile), Agustin Fernandez (Bolivia) and Antonio Gervasoni (Peru). The disc provides a valuable overview of what is evidently a lively South American contemporary music scene. It is perhaps unwise to generalise from the selection on the disc, as the music probably represents Miguel Harth-Bedoya's taste as much as anything, but certainly the disc makes you interested to hear more. 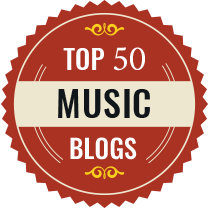 What is particularly illuminating is that though a number of the composers studied in the USA or UK, all started off in South American institutions, showing that contemporary composition has good native roots. The title of Jorge Villavicencio's Wayra (2011) means Wind in the ancient Inca language. Starting with vivid excitement even when the music quietens there is a sense of something about to occur. Victor Agudelo's El Sombreron (2009) is based on a Colombian story. It opens with eerie atmosphere and the sound of horse's hooves (I have to confess on first listening I assumed it was the ticking of a clock) and develops a sense of narrative with strong filmic qualities, to create a striking narrative tone poem. Sebastian Vergara's Mecanica (2005) for string, uses the orchestra in 20 parts to create a complex multi-part mechanism. Starting off very up-front, the multiple layers convey a sense of excitement with varied textures and strong rhythms. Diego Luzuriaga's Responsorio (2000) uses a traditional Ecuadorian melody. We hear fragments of Latin American rhythms over a strong beat, a dialogue with the piccolo develops to create a feeling of communal dance. Diego Vega's Musica Muisca (2009) refers to the ancient Hispanic civilisation of Colombia, creating an invented sound world for them. Highly atmospheric with simmering excitement and dynamic textures recalling music for a film. Sebastian Errazuriz' La Caravana (2003) was inspired by a Chilean music teacher murdered by the infamous Death Caravan. 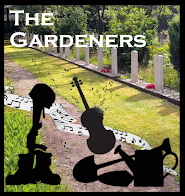 The music has a steady beat and the varied textures move between drama and transparency as the music ebbs and flows, though the music seems not to quite capture the horrific intensity of the actual events it is depicting. Agustin Fernandez' Una music escondida (2004) is a three movement work for piano (the solo shared between Kristian Ofstad Lindberg and Sveinung Bjelland). The opening movement is highly atmospheric with a delicate piano part which develops strong rhythms and colours. 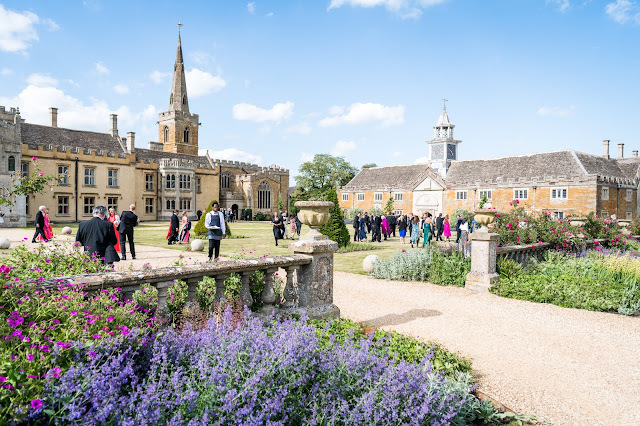 The middle movement is quiet and thoughtful, gradually increasing in intensity and getting positively romantic before the textures thin in the final movement as we sense the anticipation of something perhaps about to happen. Antonio Gervasoni's Icarus (2003) is full of atmosphere and colour as the work tells the story of Icarus. Gervasoni's background in film scoring seems to be reflected in the varied colours of the orchestration. Overall there was something colourfully descriptive about the music on the disc. Though I have said it is unwise to generalise, the adjective which came to mind most was filmic. 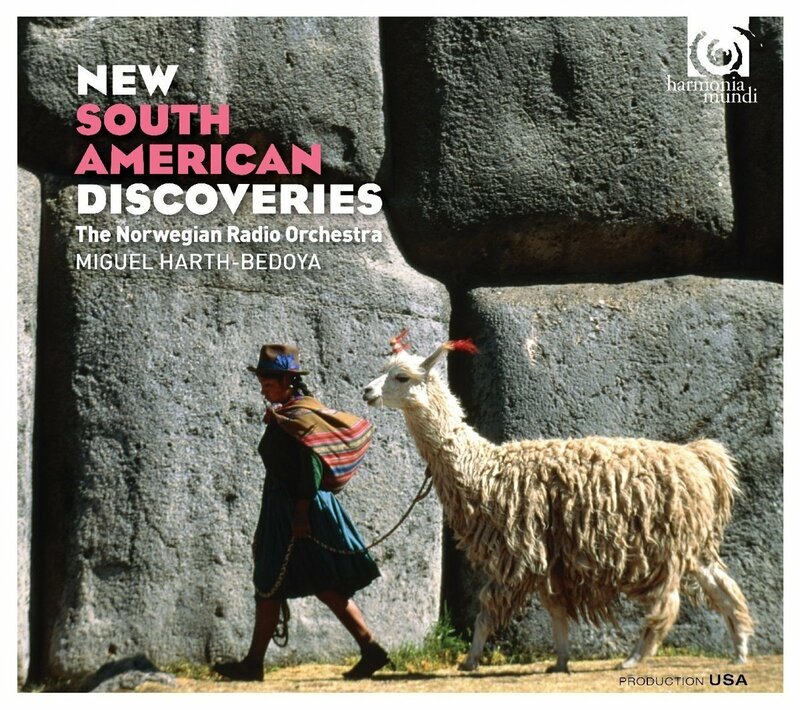 The performances from Miguel Harth-Bedoya and the Norwegian Radio Orchestra are excellent, and listening to the disc certainly makes you want to make more South American discoveries. This disc, alongside Romaria, Geoffrey Webber and the choir of Gonville and Caius College's 2015 disc of Brazilian music on Delphian (see my review) makes you realise that there is a great deal of South American music of which deserves to be better known.